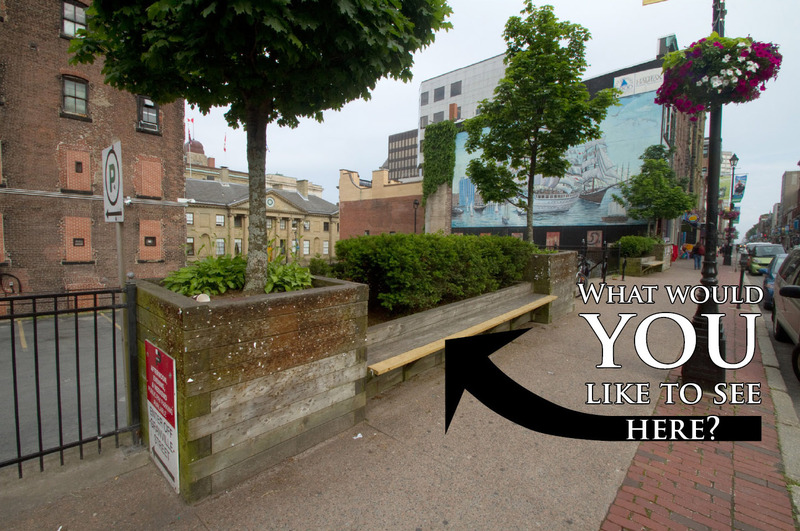 In July of 2013, the public voted to replace the old wooden seating area on the corner of Barrington and George Streets. 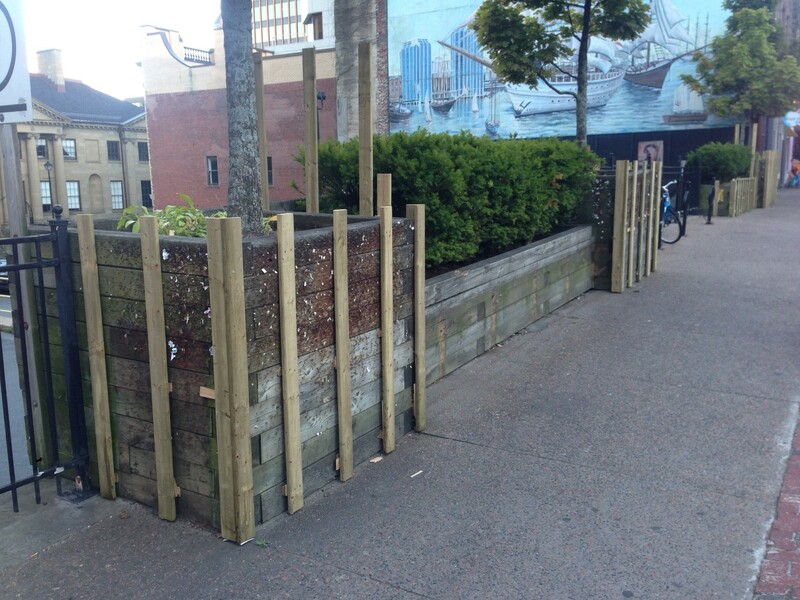 As part of Councillor Waye Mason’s discretionary funding forum they voted to give the project $20,000 while the Downtown Halifax Business Commission contributed an additional $20,000. 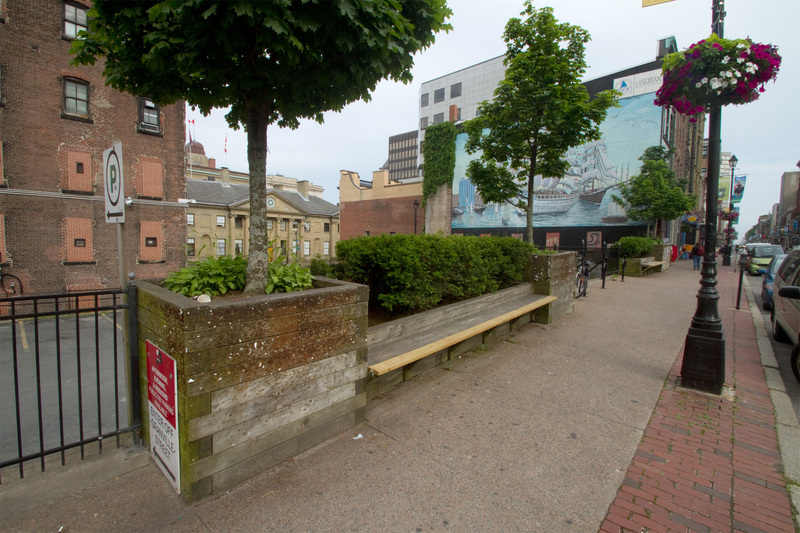 The idea was initially discussed at the Get Down on Barrington events this spring and was proposed by Fusion Halifax volunteers and the Downtown Halifax Business Commission. 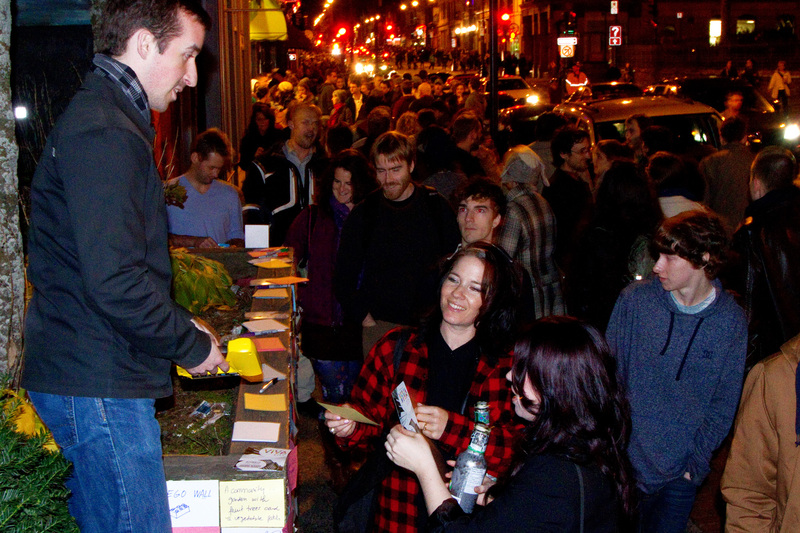 On October 15th, over 40 people gathered for an Ideas & Design Charrette at The Hub. A big thank you to all that attended. 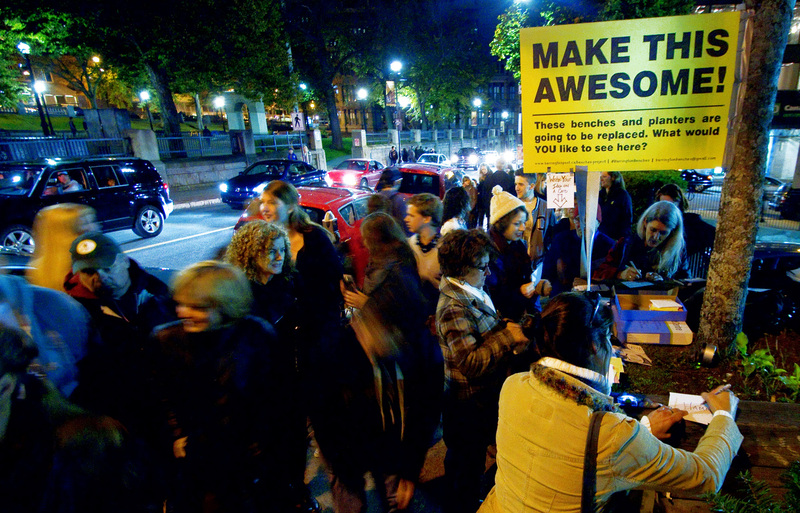 On October 19th, 2013 over 1200 people submitted ideas at an on-site engagement during Nocturne. 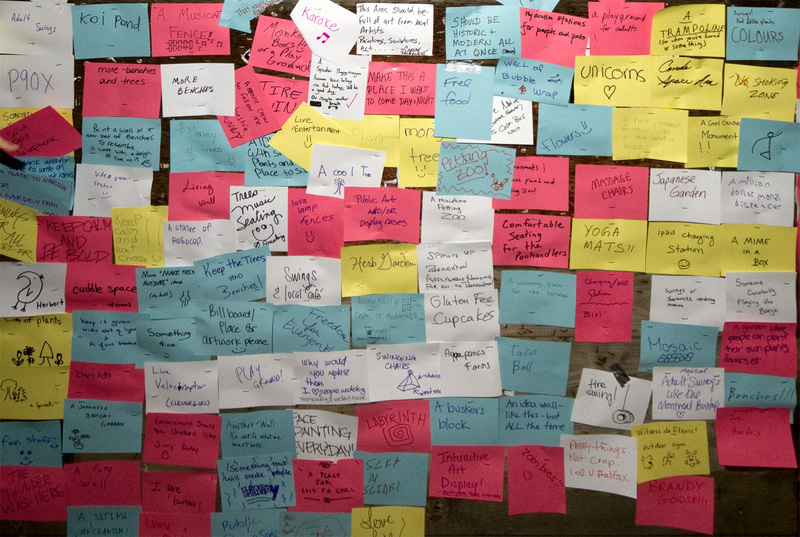 The ideas were posted to the planters and benches creating a colourful wishlist. 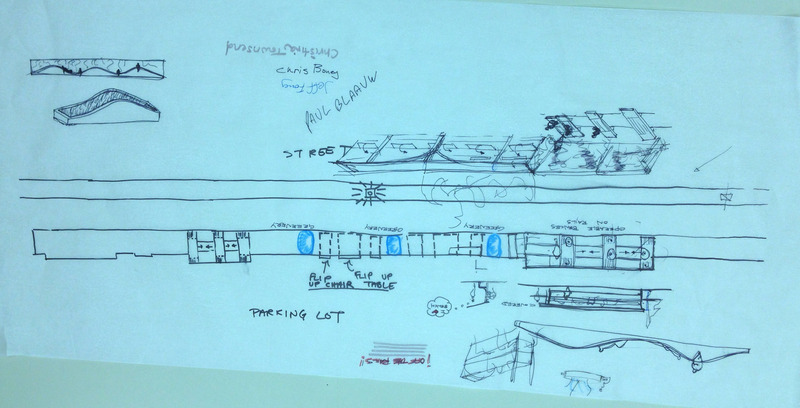 At midnight the ideas were collected by the project team for use in the design stage. 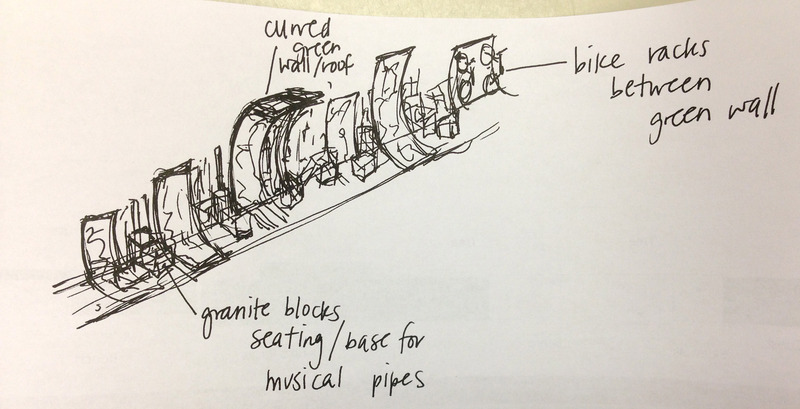 One of a number of concepts generated by the project team. 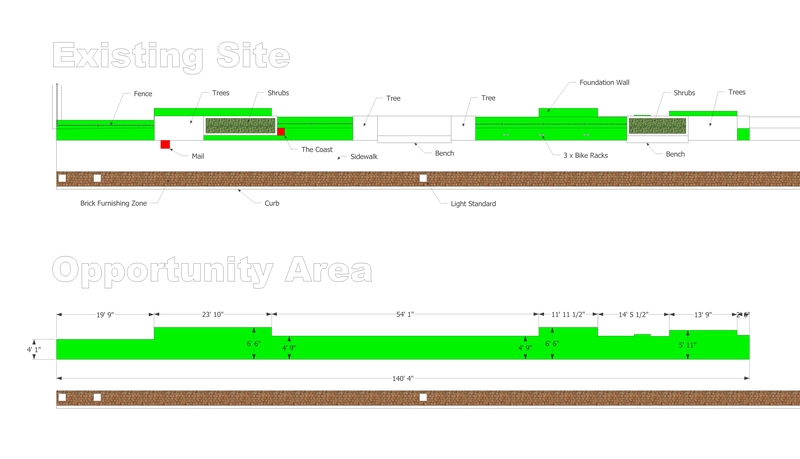 July, 2014 – Eco Green Homes is selected to provide detailed design, permitting and construction services for the project. Led by Ed Edelstein, the concept evolved swiftly into a buildable product. 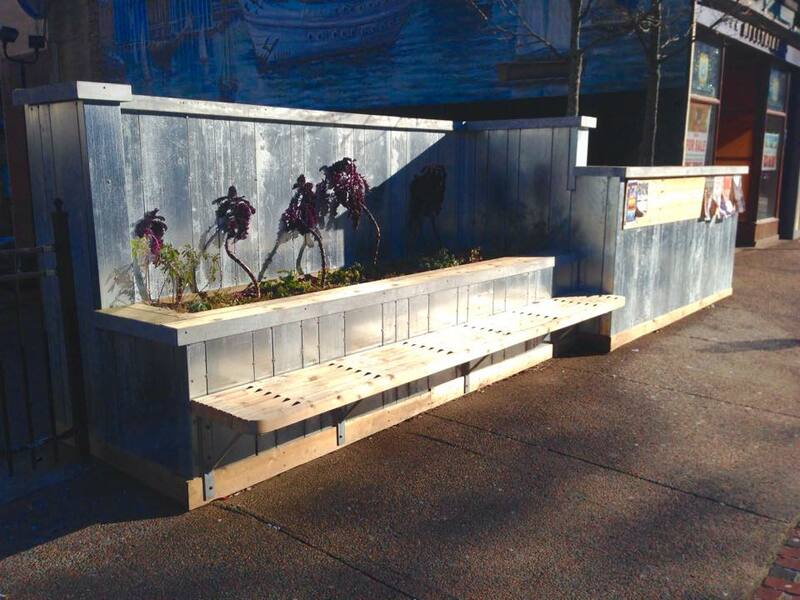 Early December 2014, City staff install temporary winter plants for the benches project. 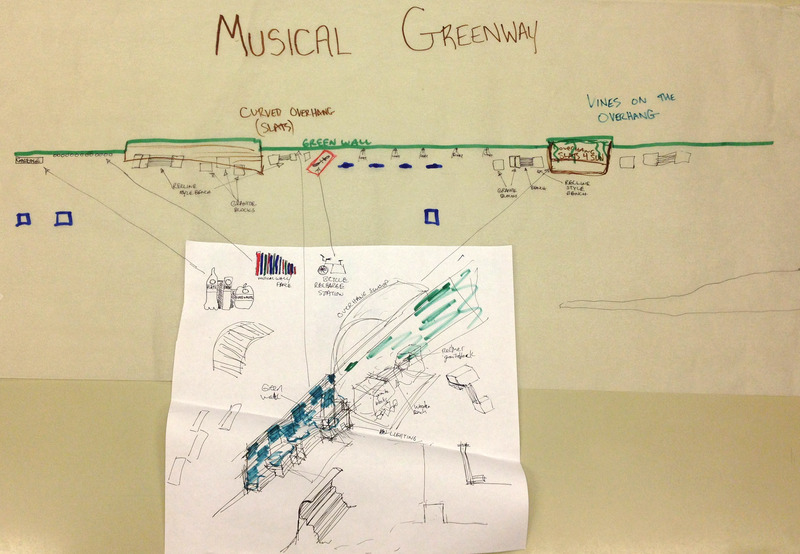 A spring install based on a landscape design prepared by Stephen Cushing of Urban Perspectives is planned. 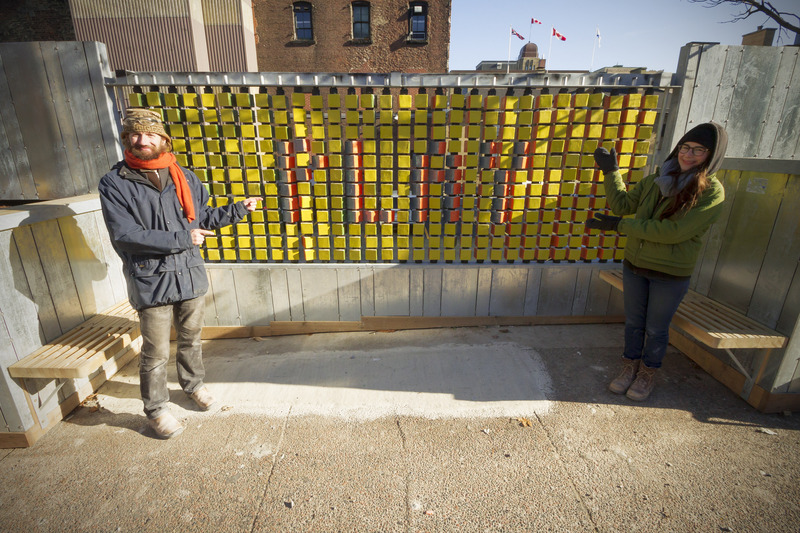 Fall 2014 – The contractor and project team work closely with NSCAD artists Catherine Laroche and Rory MacDonald on the Barrington Blocks centre piece. 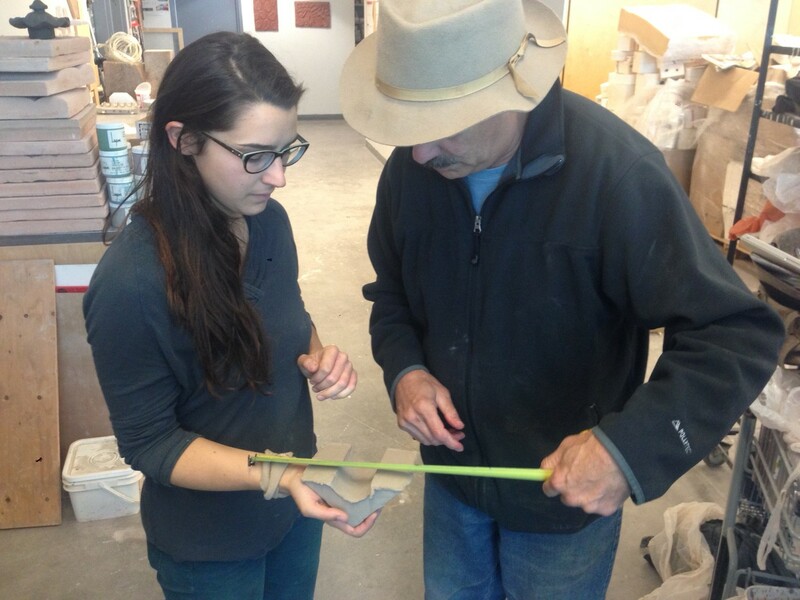 Each ceramic block is formed, fired, painted and glazed at the NSCAD port campus. 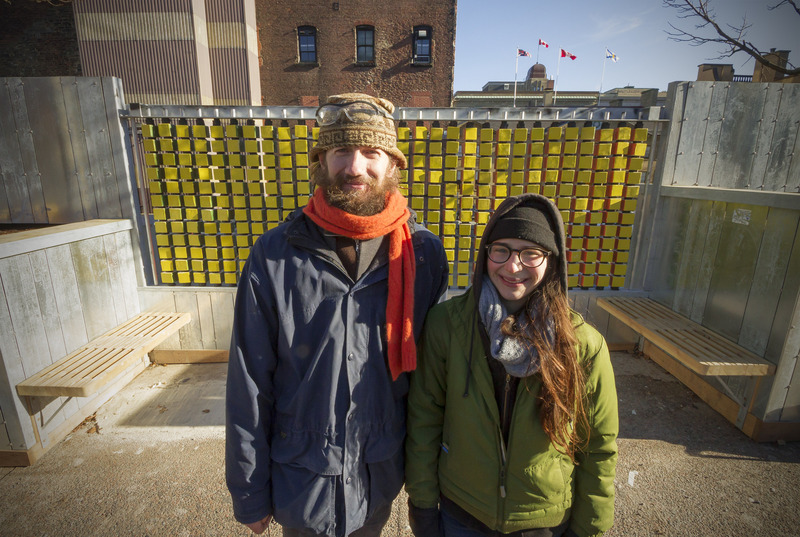 On December 12, 2014 NSCAD artists Catherine Laroche and Rory MacDonald installed the centre piece of the Barrington Benches Project. 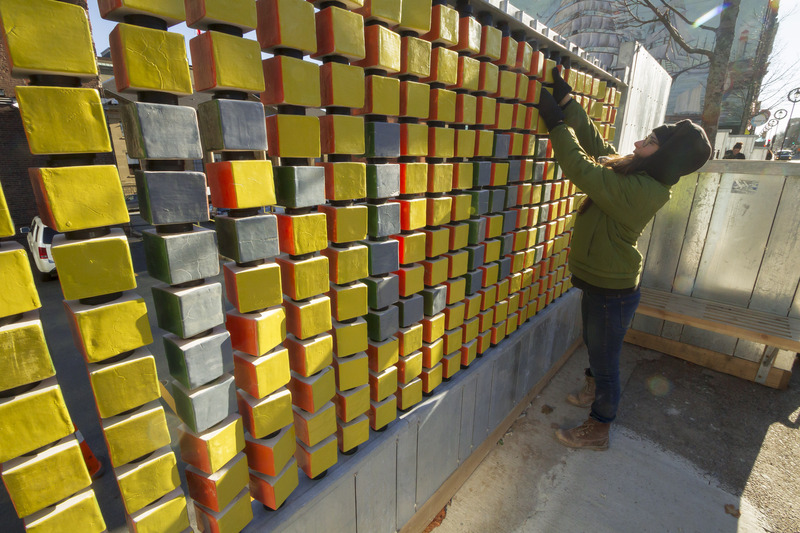 Barrington Blocks is a 3D Interactive Mosaic consisting of nearly 400 hand made ceramic blocks with a colour on each side. People are invited to create their own temporary mosaics. Feel free to share your artwork on Facebook and Twitter using the hashtag #BarringtonBlocks . 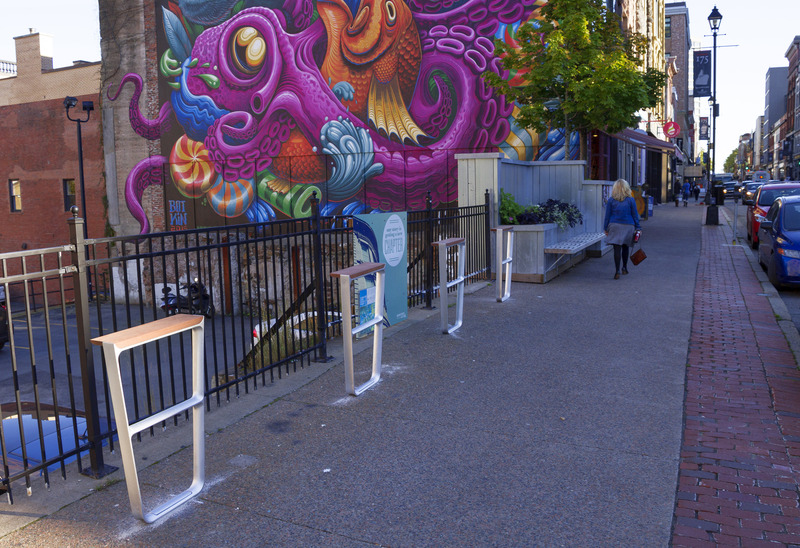 On October 15, 2015 City staff installed four new bike racks. The Landscape Forms MultipliCITY Bike Rack fits the aesthetic of the site and provides many locking points, a flat top to rest your helmet or bag, and also functions as a seat or rest when not used as a bike rack. 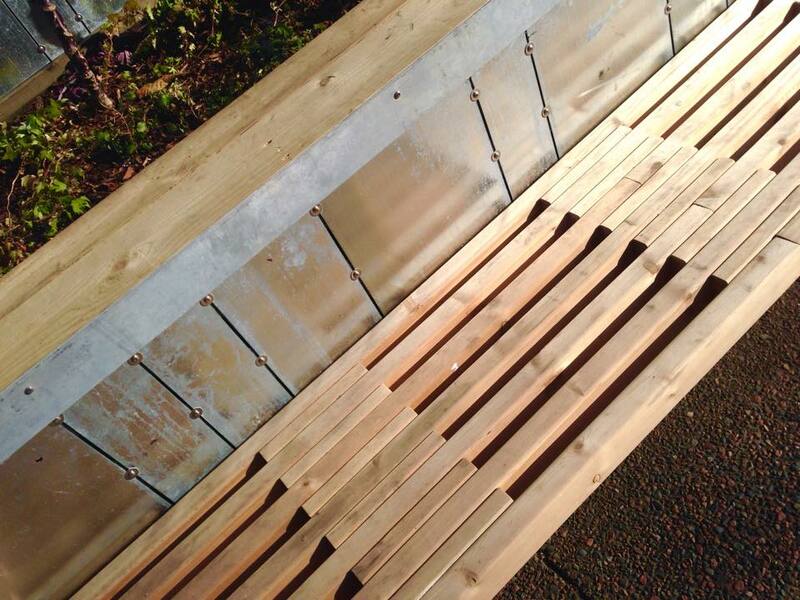 The MultiPlicity line also promotes the use of local materials by allowing local wood to be used, shipping only the brackets and hardware. 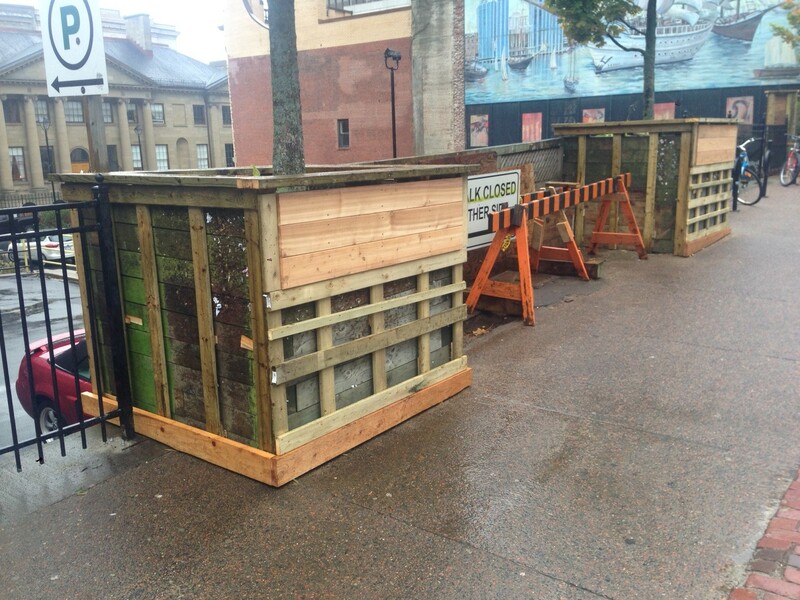 Two of the four bike racks were contributed by Landscape Forms through h2 Atlantic. 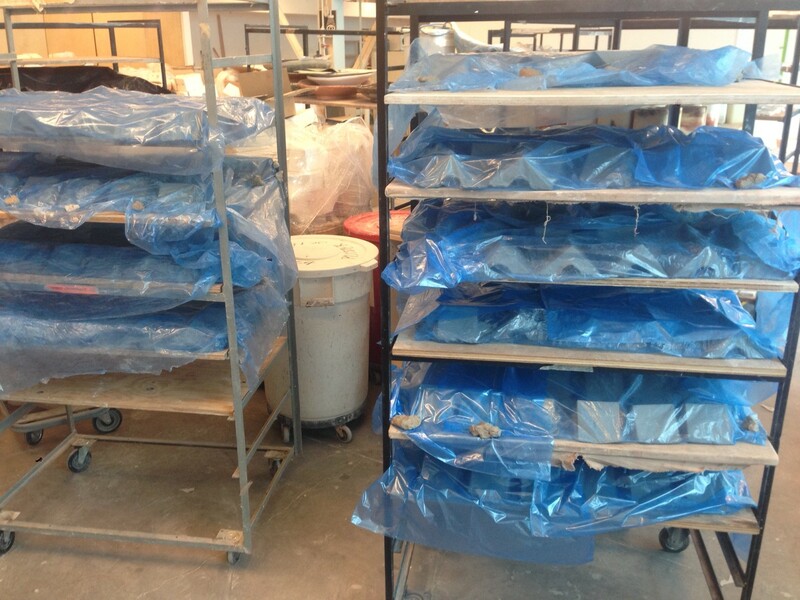 Galvanized sheet metal panels provide a durable, low maintenance surface. Varied widths were applied for architectural appeal. Temporary plantings provided by H.R.M. 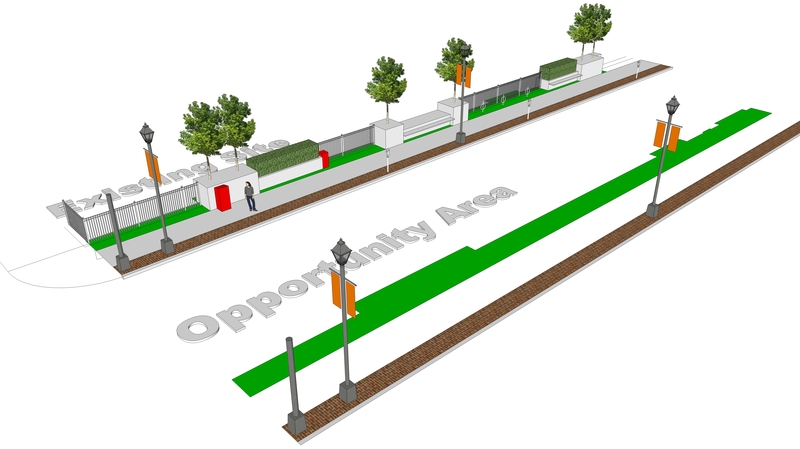 New plants based on landscaping plan will be installed in the spring. 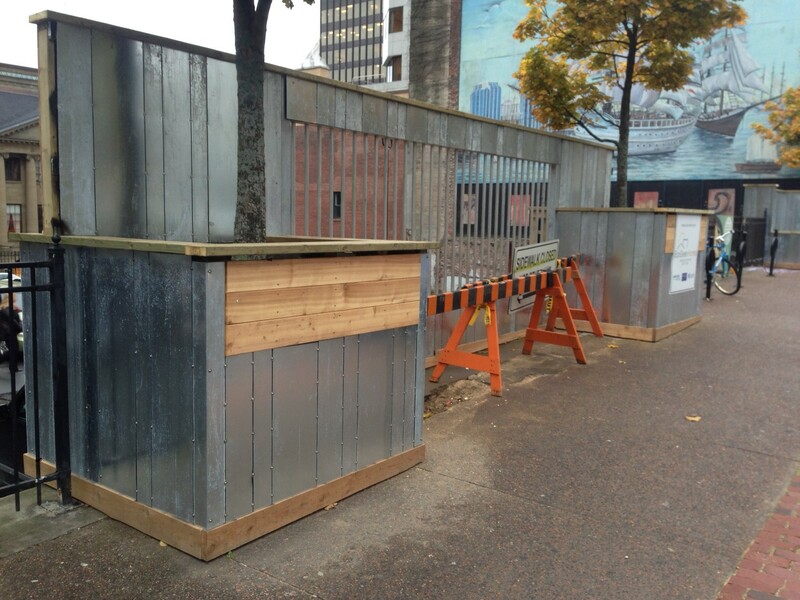 Cherubini Metal Works kindly donated the welding and fabrication for the frame that holds the Barrington Blocks centre piece together. 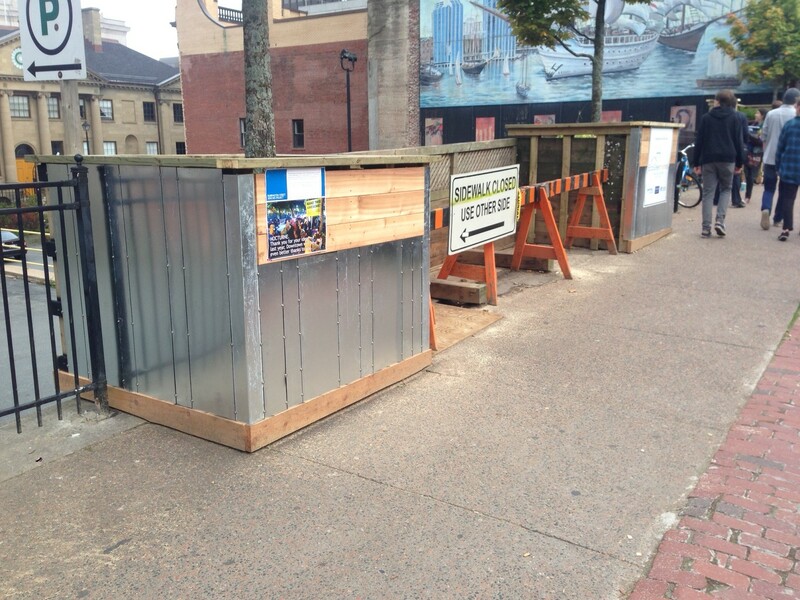 This was a true community project from idea to construction with many people and organizations involved in bringing it to life including Fusion Halifax, Downtown Halifax Business Commission, Eco Green Homes, Halifax Regional Municipality, Cherubini Metal Works, Urban Perspectives, h2Atlantic, T4G and many more. 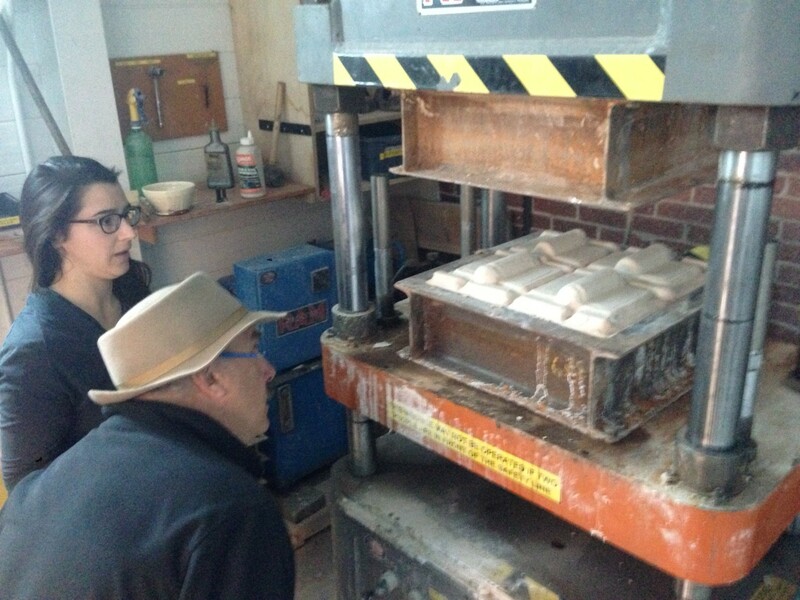 A number of other people and organizations contributed time and effort in the process of the project. 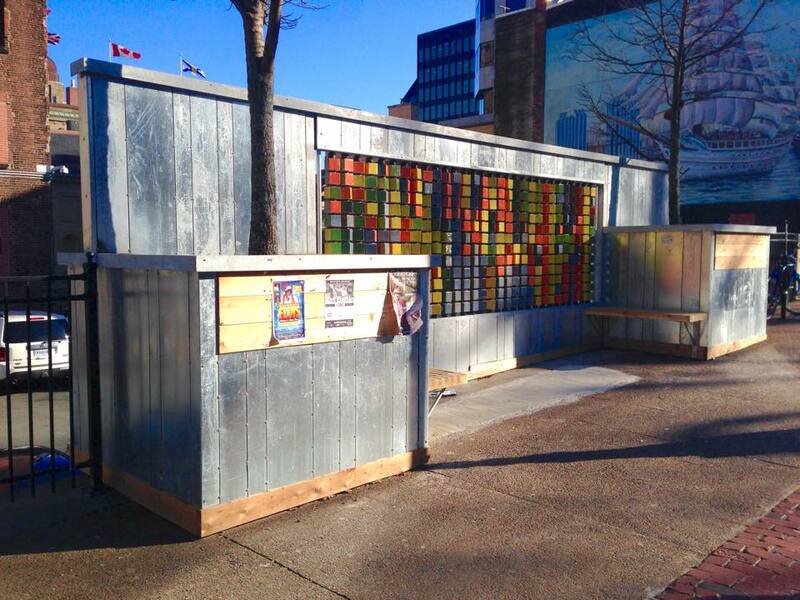 The project team would like to thank all that helped make this community project a reality. 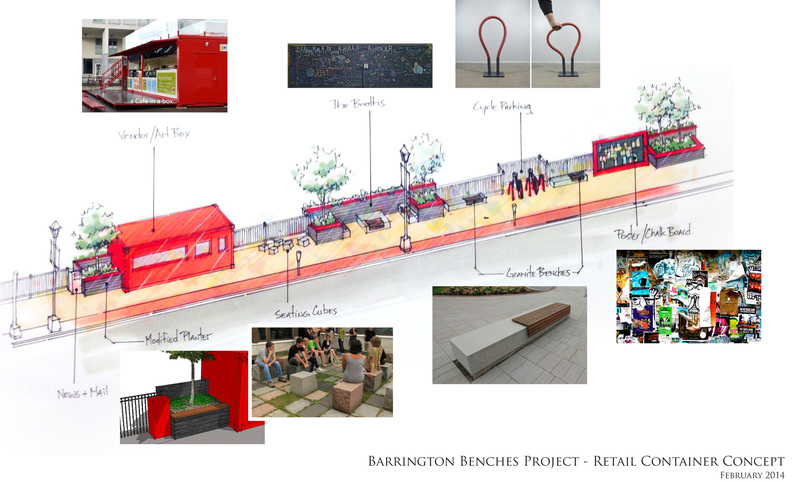 If you want to stay updated by email, send one to BarringtonBenches@gmail.com with ‘Keep me Posted’ as the subject. If you have any ideas for the site, feel free to send them also.